NASA's Mars Exploration Rover Opportunity has nearly completed its three-month examination of a crater informally named "Santa Maria," but before the rover resumes its overland trek, an orbiting camera has provided a color image of Opportunity beside Santa Maria. The High Resolution Imaging Science Experiment (HiRISE) camera on NASA's Mars Reconnaissance Orbiter acquired the image on March 1, while Opportunity was extending its robotic arm to take close-up photos of a rock called "Ruiz Garcia." From orbit, the tracks Opportunity made as it approached the crater from the west are clearly visible. Santa Maria crater is about 90 meters (295 feet) in diameter. 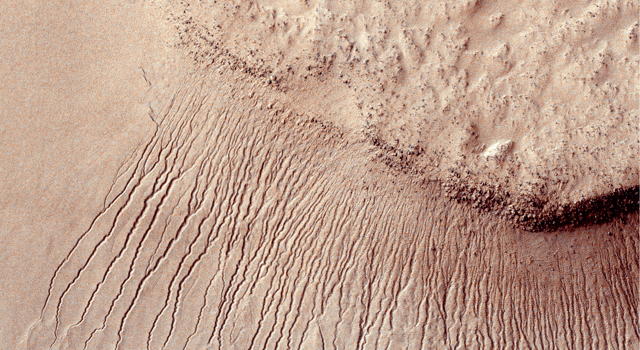 The HiRISE image is at http://photojournal.jpl.nasa.gov/catalog/PIA13803 . March 1 corresponded to the 2,524th Martian day, or sol, of Opportunity's work on Mars. A raw image from Opportunity's front hazard-avoidance camera from the same day, showing the arm extended to Ruiz Garcia, is at http://marsrovers.jpl.nasa.gov/gallery/all/1/f/2524/1F352255948EFFB1F5P1110L0M1.HTML . 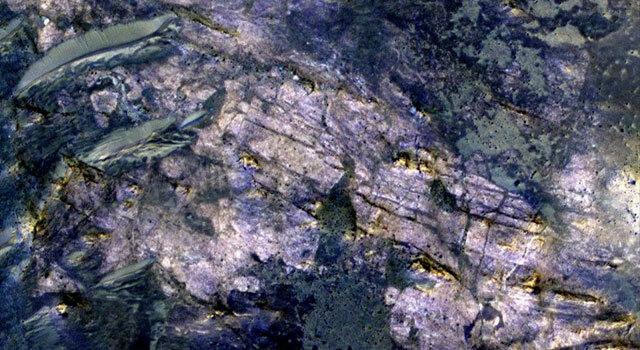 To complete the scale of imaging, a raw image taken by Opportunity's microscopic imager that day, showing textural detail of the rock, is at http://marsrovers.jpl.nasa.gov/gallery/all/1/m/2524/1M352254519EFFB1F5P2935M2M1.HTML . Opportunity completed its three-month prime mission on Mars in April 2004 and has been working in bonus extended missions since then. The Mars Reconnaissance Orbiter, which arrived at Mars on March 10, 2006, has also completed its prime mission and is operating in an extended mission. 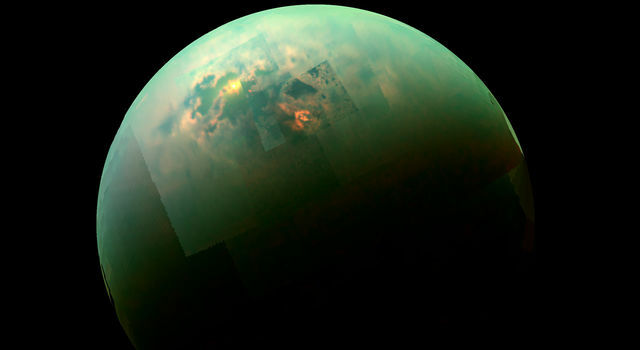 The High Resolution Imaging Science Experiment is operated by the University of Arizona, Tucson. The instrument was built by Ball Aerospace & Technologies Corp., Boulder, Colo. NASA's Jet Propulsion Laboratory, a division of the California Institute of Technology in Pasadena, manages the Mars Reconnaissance Orbiter and the Mars Exploration Rover projects for NASA's Science Mission Directorate, Washington, and built Opportunity and its twin rover, Spirit. Lockheed Martin Space Systems, Denver, is NASA's industry partner for the Mars Reconnaissance Orbiter project and built that spacecraft.